The Master of Fine Arts (MFA) in Design is a program dedicated to the development of well-rounded theatre designers within a scenographic tradition. The MFA in Design is a terminal degree structured to develop the artistry of those seeking specialized training and intending to pursue professional careers. MFA Design students train as artists, craftspersons, and teachers to work in the profession of theatre and in higher education. The MFA in Design program is competitive, ensuring that classes are small and training is personal. At the core of the Design program is a series of design courses and hands-on practicum experiences, plus electives the student selects in consultation with a faculty advisor. These electives allow the MFA in Design student to pursue an emphasis in a particular area of design, thereby tailoring the degree to the student’s interests and career objectives. 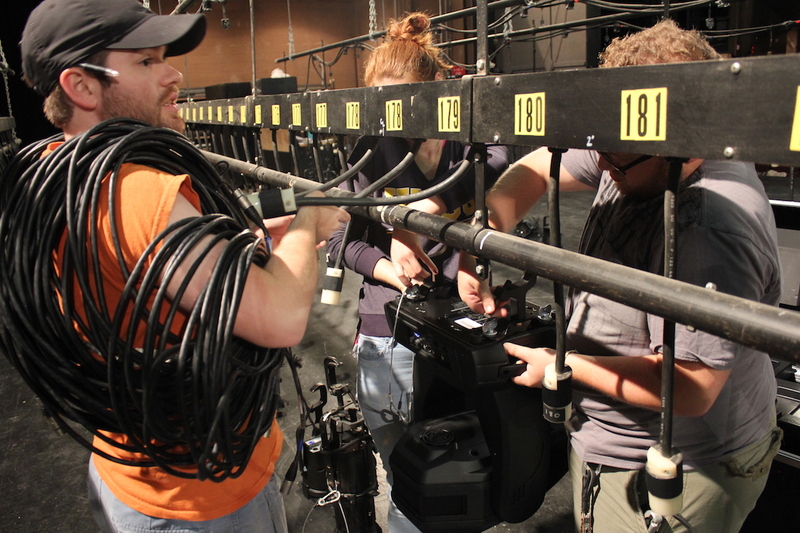 Major guest artists regularly come to campus under the sponsorship of the Department of Theatre with the specific purpose of working closely with MFA Design students. The MFA in Design program is planned so that students graduate with 60 hours of classes. During their course of study, students are expected to design a minimum of four fully realized productions as a part of the School of Theatre’s Mainstage, Theatre for Youth, and Studio seasons. MFA in Design students are required to design scenery, costume, lighting, and a fourth assignment in whichever area the student is specializing. The School of Theatre encourages approved design work outside the University. There are special arrangements with Triad Stage, a professional regional theatre located in downtown Greensboro , and the North Carolina Shakespeare Festival, located in nearby High Point . The Department of Theatre also prepares students for regional and national competitions and interviews. Questions? Contact Deborah Bell at dlbell@uncg.edu or 336-334-4032.